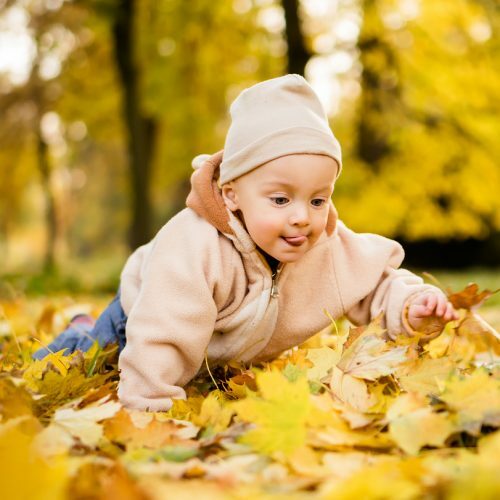 “If you start at an early age, your baby will learn to love the outdoors and will enjoy herself there. These times will help her to be less clingy, nagging, overly dependent, constantly needing company or entertainment. Infant specialist Magda Gerber believed in the therapeutic power of nature and encouraged parents to find (or create) safe outdoor play areas for their babies to explore, enjoy and move in freely. Pediatric occupational therapist Angela Hanscom agrees and is successfully using “nature therapy” to not only treat, but also to prevent vestibular and sensory integration issues, which seem to be on the rise. Here she shares her experience and enthusiasm for outdoor baby play and some of its many benefits. Magda Gerber talks about the importance of environment in her RIE approach. She explains that a child’s surroundings should be physically safe, cognitively challenging, and emotionally nurturing. For me, what comes immediately to mind is Nature. Nature in its purest form is all of the things Magda describes. It is free from chemicals, plastics, dyes, and other manmade items; Nature is both physically challenging and forgiving; and most importantly, nature provides innumerable sensory experiences that can’t be manufactured. As a pediatric occupational therapist that uses the outdoors as both a form of prevention and treatment of sensory issues, I feel that even the youngest of children, whenever possible, should be playing outdoors, and at a very early age. Recently a local parenting organization asked me if I would be willing to host their group of mothers and babies. While I was thrilled by the invitation and absolutely willing to accept, I was somewhat surprised when the group’s director asked if we do this group indoors instead of outside. “We wouldn’t want the young children to have to sit on the ground. They would get dirty,” she said. Is this a common worry, I wondered? Many children are kept from crawling. Even more children are kept from falling. Plenty of children are told “no” when they attempt to climb on top of a rock or pick up a stick. Little kids are told not to spin in circles and are kept from rolling down hills. It is my opinion – supported by observing scores of kids, in clinic and out – that by constantly restricting children’s movements we impede the development of strong vestibular systems (balance), which most children will achieve naturally through physical trial and error. If we don’t allow children to take (safe) risks and test themselves, they can seem clumsy, uncoordinated, and unsafe at an early age. In a perfect world, all children would be allowed not only to crawl, fall, climb, and spin – they would be experiencing it all outdoors. Not only does outdoor play inspire creativity and imagination, but it also engages all of their senses — setting them up for healthy sensory integration. Outdoor play is important because we are the only animals who don’t live outside. Outdoors is real life. Crawling, for example, is so important for healthy child development. Crawling helps babies to develop a strong shoulder complex, develops both sides of their brain, develops the arches in their hands, integrates reflexes, and is the foundation for basic coordination patterns. 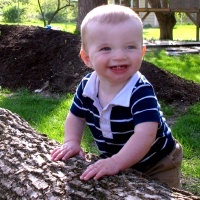 By taking the crawling outdoors, other therapeutic benefits are added to the process. The change in terrain challenges their muscles in new ways. They also get to experience the sensations of the wind on their skin, the warmth of the sun, and the touch experiences of dirt on their hands and legs. Bird Sounds. Listening to bird sounds helps gives a child a sense of space by figuring out where her body is in relation to the chirps and the tweets. In fact, therapists have figured out a way to capture and enhance these bird sounds on CDs to help children with auditory processing (the brain’s interpretation of sound), body awareness, emotional regulation, and attention. Spending more time outside is a natural way for children to improve these same sensory issues. Spinning in Circles. Occupational therapists encourage children to spin in therapy and will often use this type of rapid vestibular movement in treatment sessions. Spinning helps children to establish their midline–awareness of their center. It also helps give them great body awareness and supports visual skills and emotional regulation. So next time your child starts rolling down the hill or spinning in circles for fun – let him! Walking Barefoot. Walking barefoot outdoors is so great for little feet. Going barefoot helps to integrate the Babinski reflex and prevent complications such as toe-walking, balance, and coordination issues. Going barefoot outdoors also provides great tactile experiences that prevent intolerance to touch later on. It is time we leave our fears and worries behind and start taking our children outdoors at an early age to let them fully explore the world around them through all of their senses, facilitating healthy sensory development. I believe an outdoor play area is a must. The more that children play outdoors, the better they eat, sleep, and feel. Angela Hanscom is a pediatric occupational therapist and the founder of TimberNook (www.timbernook.com), which focuses on nature-centered developmental programming in New England. Angela holds a master’s degree in occupational therapy and an undergraduate degree in Kinesiology (the study of movement) with a concentration in health fitness. She specializes in vestibular (balance) treatment and sensory integration. She is also the author of the nonfiction book, Balanced & Barefoot, which discusses the effects of restricted movement and lack of outdoor playtime on overall sensory development in children. Angela Hanscom’s book, Balanced & Barefoot: How Unrestricted Outdoor Play Makes for Strong, Confident, and Capable Children is now available HERE. Hi, I love this article and agree with this. Would you have any tips on how to incorporate outdoor nature play for families who live in cities? Thanks Emilia for the nice feedback! Yes, the upcoming book, Balanced & Barefoot will hopefully make a big impact by educating parents on how essential it is to let children play and move outside on a very regular basis in order to develop into safe and capable children. A great article and I totally agree. I feel very lucky to live somewhere that my son can spend a lot of time outdoors, exploring the garden and our rocky scottish beach at the bottom of the garden. There’s a nursery for children up to 3 years old in Scotland called the secret garden. It doesn’t have a building, the kids are outside all year round. In winter they use yurts, have fires, dress warmly and run about a lot. The environment is completely natural and always changing and the kids learn to climb trees etc completely at their own pace. It would be great if more places like this existed! It is always wonderful to hear stories like yours when children can have great experiences such as these! I share the hope of spreading these types of experiences that you talk about to more children in all different types of spaces. It is so great to see the children thrive in such environments. Sheena – I love hearing stories about what is happening in other places. So inspiring! I too hope that children everywhere can someday experience these type of things too. Right beside the playground I take my daughter daily is an enormous grass area where she loves to walk and run. The majority of the parents do not let their kids leave the park. Nevertheless some children want to do what my daughter is doing and some parent let them in the end. I am very happy when this happens! I’ve got weird looks by letting her walk there. Probably because some people let their dogs play there, but we’ve been going to the playground for over a year and we’ve never stepped on dog’s poo. Besides dog owners are very responsible in Ireland. “Dazed in Galway” – I love this! I love that you are being an example to mothers to move beyond fear and do what is right for your child. To not let other people’s perceptions of you stop you from doing what is in your heart. Let us all take notice and be the example for others. My husband and I were just talking about our daughter- we were watching her exploring our backyard while we cooked dinner (she was outside with her older sister) she absolutely loves being outside, I cannot even imagine restricting this, what it would do. She is so calm outside and independent. There is such a difference in her play vs being inside. Its so wonderful to see a dialogue about outside play. That’s where children want to be and where they thrive! Sadly schools limit outdoor play so much and when they are allowed outside the rules stifle exploration, risk taking and of course fun. The teachers commenting that the children ‘can’t keep their hands off each other’ during recess is interesting in that it’s only a problem because the rules stipulate that they can’t touch each other. But, of course, like tiger cubs, most young humans love the same close, physical play. At schools where physical contact is only restricted if it becomes dangerous or antagonistic, the children play happily together often engaging in lots of close physical activity/play particularly the boys. When they are allowed to be human like this they can bond in a different way. Because of the litigious nature of US society, natural child development which includes risk taking and being outdoors has become very limited or nonexistent. Parents are programmed to see much natural child behavior as dangerous and so they aim to curtail it. How do we change this? Thanks for this article! I was writing a blog post on getting kids outside to play more (http://bellevuetoddlers.wordpress.com/2014/06/11/getting-outside/) and this was a great reference on the importance of starting early! Great article I agree with everything you wrote here especially about crawling. I do believe that it helps develop strong shoulder. Crawling is the first exercise babies can do and the more they do it the stronger their shoulders become which they can benefit them a lot. They will be able to move around more for a longer period of time without feeling tired considering it’s only their arms and shoulders carrying the weight of their whole body. The more a baby gets control of his mobility the healthier and taller he grows. I have an active 8 month old who creeps, crawls, and has just begun pulling up to stand. I would desperately love to have him play outside every day, but I live in an apartment complex. You write ” It is free from chemicals, plastics, dyes, and other manmade items;” but my problem is that the grounds of our complex are heavily sprayed with pesticides and probably fertilizers too. The trees are mulched with chemical laden stuff. 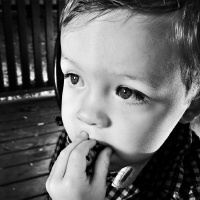 My baby is at the age where he puts everything in his mouth, and I want to keep him safe from these kinds of chemicals. I love dirt and don’t care if he gets germs and dirt, but I read about athletes getting cancer from spending too much time on treated lawns and I can’t fathom putting my infant on such a surface. There are no wild areas anywhere near, and my transportation is limited. Is there anything I can do? I’d be interested in hearing a response to this, too. I’ve been putting my daughter on a picnic blanket in our pesticide-laden area. It’s not quite as great as being on the grass, but she still gets the sun and the wind and the outdoor sounds, and she loves it. That really DOES make it hard to get out and explore if there are chemicals all around. Are there any parks nearby? Thank you for the interesting article. I love how much my daughter loves nature but I have to admit that it takes a conscience effort on my part to let her do it. She is fascinated by ants marching and will stop and watch while I try to walk the dog. 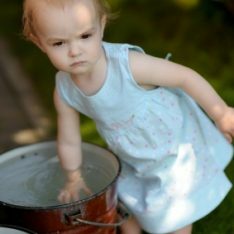 She touches the fly that landed in her water table while I try to get her to fill a bucket. She picks my unripened veggies and tries them while I prefer them ripe and cooked! She plays with sticks and rocks when I take her to the playground vs trying to climb the slide like the other kids. Raising a nature child takes patience but it is so worth it! It is truly amazing to see nature’s beauty through a child’s eye! Wonderful article. I love watching what my kids can do at a young age when they “aren’t supossed to be able to” because if they can do it, clearly they’re able! I have a teething little one right now, and wonder about the inevitable oral exploring with sticks, leaves, grass, and whatever else is on the ground. Block all attempts? Allow the chewing? Any tips? I’ve wondered about this issue as well! My daughter loves to put leaves, rocks, twigs, etc in her mouth. We usually let her do some oral exploration (with the exception of small rocks, as we worry about choking), but she often gags and vomits if she actually swallows a leaf, so I’ve wondered how much to restrict her. For those in apartments, my 9 month old was visiting grandma in her condo. We played on the balcony, where She had pots of plants, dirt, and chairs. It was wet but that didn’t stop my son getting into everything and climbing over and under things. Maybe something could be set up along those lines? Apartment gardens also often have nice shrubs etc to crawl in and around. Depends on how heavy you weigh potential pesticide and fertilizer use though… maybe you can talk to the landlord or the city regarding Parks. Some cities put out signs when they apply herbicide etc. It isn’t applied very often usually.